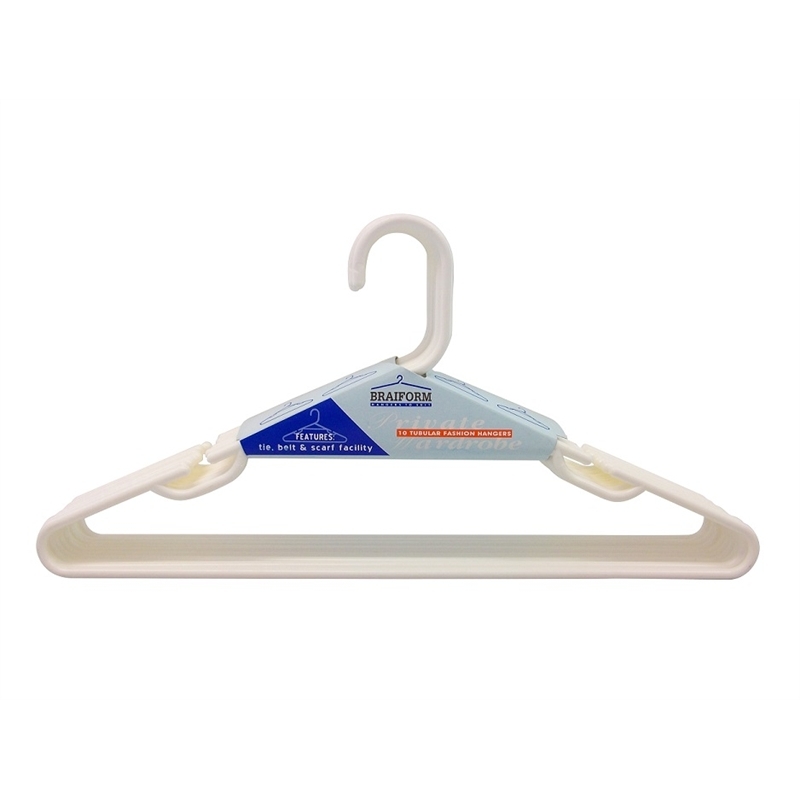 Quality Universal Top Hanger with Rail. Features Tie, Belt and Scarf facility. Manufactured from Rigid Polystyrene Resin for longer life. Only retail pack that comes with a 455mm Wide Hanger that will avoid Garment shoulders from folding.